Water ride : (n) an amusement ride set over water; commonly log flumes or boats traveling through channels of water through a specific course. If getting soaked and splashing in water is what you’re after, Walt Disney World has two great water parks that would be sure to please. However, Magic Kingdom, Animal Kingdom, and EPCOT also have a few water rides, eight in all, and those rides just happen to be some of our favorite attractions at Walt Disney World. The good thing about these attractions is that while you may get wet on some, no bathing suit is required. So come along as I count down the Elrod Top 5 Walt Disney World Water Ride Attractions! This is an attraction that I find is commonly overlooked by many Disney Goers. My family, however, finds it pretty fascinating. Being located in EPCOT, a park that can be wearing on your feet, especially if you just finished a tour around the World Showcase, Living with the Lands was initially chosen as just a nice break for our tired tootsies. But after our first ride, we thought it was so cool, and have ridden it several times since. 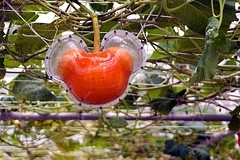 Living with the Lands is a splash-free ride through a few of the green houses and fish farms Disney uses to grow and harvest their own produce and fish for EPCOT restaurants! On this relaxing boat tour, you get to see first-hand the agricultural advances used to grow crops in rain forests, African desserts, and American plains. Bananas, rice, live alligators and shrimp, and maybe even a few Mickey-shaped tomatoes or pumpkins are just a few things you can plan on seeing. Sailing past the fish tanks may get a little smelly, but overall, the Elrods give Living with the Lands three thumbs up. Although my husband would put the Gran Fiesta Tour Starring the Three Caballeros here, I decided to go with Maelstrom, my favorite of the two. 😉 Tim loves the atmosphere that comes along with being inside of the Mexico Showcase, and knowing there’s a chance of getting chips and salsa has nothing to do with it, I’m sure. 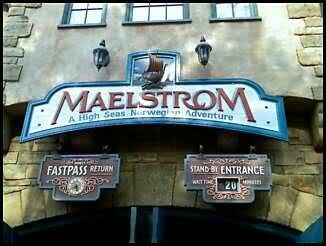 Maelstrom, however, is an exciting Viking boat voyage through stormy seas. You never know what you may encounter. Perhaps polar bears, fearful Vikings, trolls, and a second story peek at the World Showcase are some things you can expect. Also, beware of a little backwards travel and a plunge down a 28 foot waterfall. Though you may receive a slight sprinkling of Norwegian waters, I promise you will arrive safely back at Disney in the end. “You will get wet. YOU MAY GET SOAKED.” That is my favorite part of the sign that resides outside of this Animal Kingdom attraction. 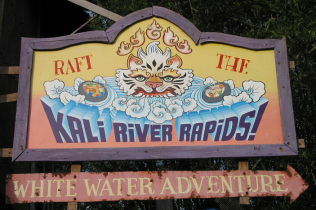 Climb aboard the round, twelve-seat raft and spin your luck on this unpredictable water ride. Every time we ride it seems there are people that are slightly wet, with a few drops here or there, and then the unlucky few that look like they just got out of a swimming pool! With one moderate drop, this ride ranks high in the fun factor area. 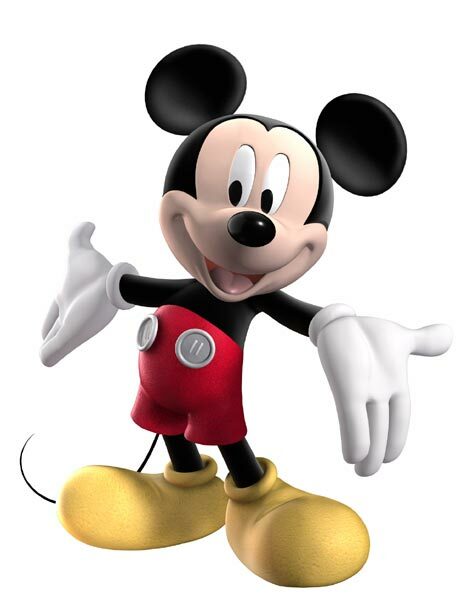 Elrod WDW Tip: If the wait is over 30 or 45 minutes, grab a FASTPASS and come back later. It is a short ride to justify the long wait, but it’s fun nonetheless. 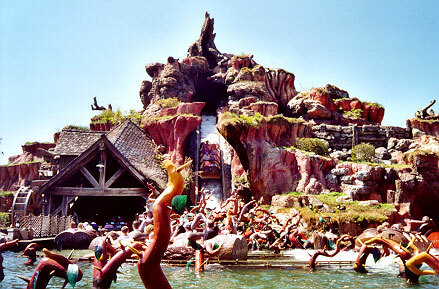 Splash Mountain. You can’t miss it. Head northwest from the entrance to the park and follow the screams that you hear about once every 45 seconds. Splash Mountain is a ride that the Elrods definitely deem, “Worth It.” If the line is long, grab a FASTPASS and come back later, but if the FASTPASSES are all gone, or you’ve done just about everything else except this, waiting in a hour long (or longer!) line is still worth it. Splash Mountain is a long ride. Along with entertaining animatronics and a silly storyline of the unlucky Br’er Rabbit, you will encounter three tummy-tickling dips before hurtling down the five-story drop into the briar patch. Elrod WDW Tip: If you are not too anxious about the drop just seconds ahead, give yourself a chance to take in the amazing view of Magic Kingdom and Cinderella’s Castle from the terror-inducing tip-top of the mountain. Also, don’t forget to check out the picture of your screaming face on your way out. I’m sure that it will kick up a giggle in your Laughing Place. The best picture I ever saw was of an older man who had undoubtedly ridden Splash Mountain many times before. 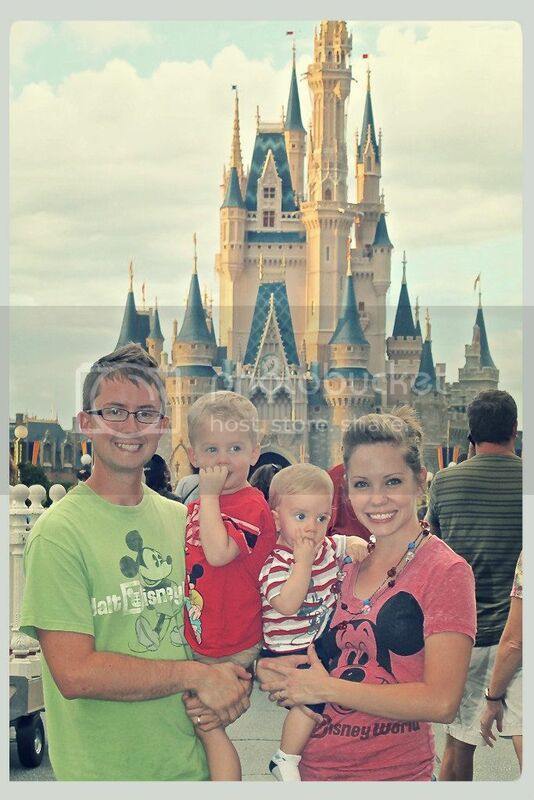 I would venture to say it was his favorite Disney attraction from the look on his joyfully amused face. He had planned his photo out perfectly. As everyone else on board his log was frozen in time with screaming, fear-stricken faces, he was calmly reading a story from the daily paper from the backseat of the flume. Hilarious! 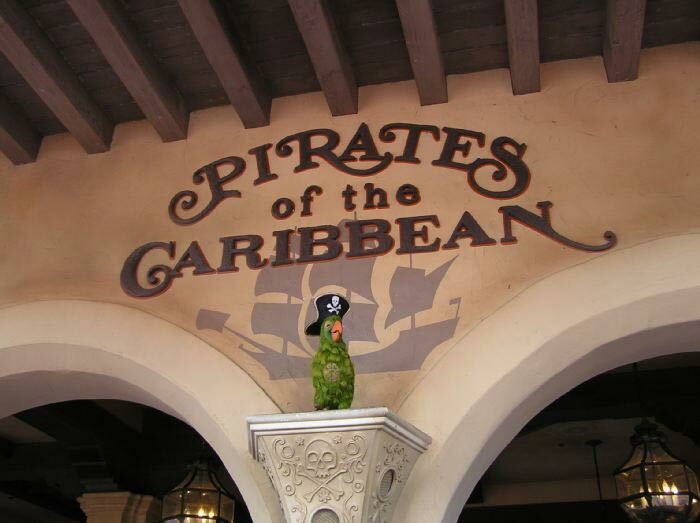 So what is your favorite water ride in Walt Disney World? Others that were not mentioned in our countdown are It’s A Small World and The Jungle Cruise. Would either of these make your top five?